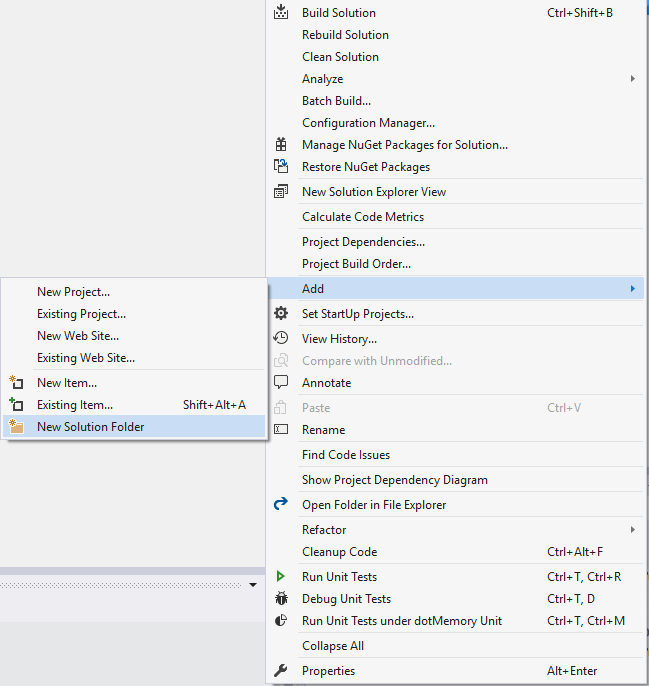 Before starting development we first had to set up a new WPF project. 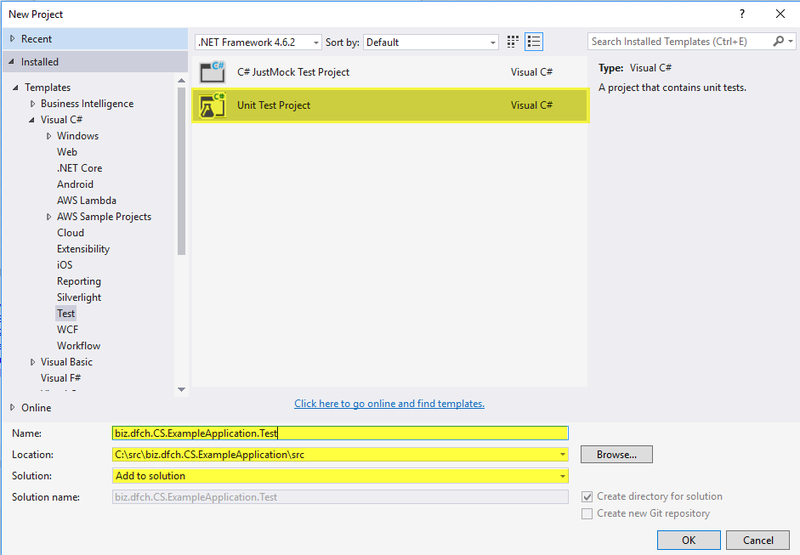 The projects target framework is .NET Framework 4.6.2 and we used Microsoft Visual Studio Community 2015 as IDE. 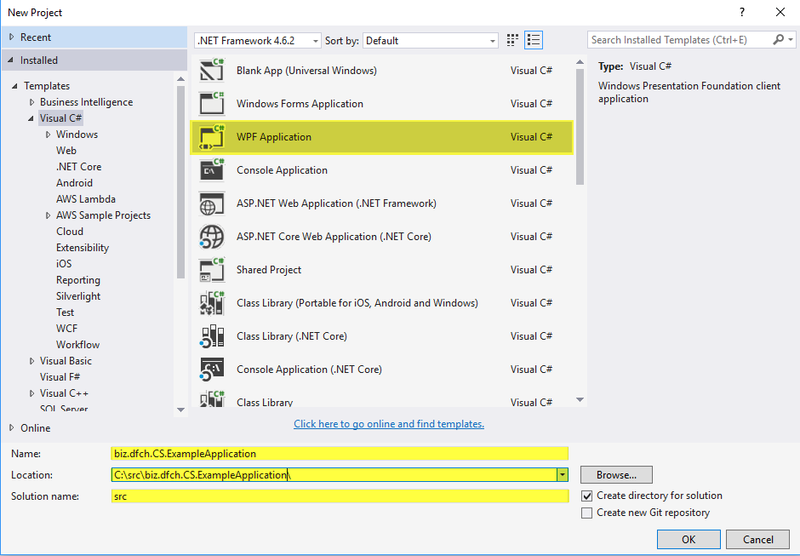 In this post I’ll quickly go through the necessary steps for setting up a WPF project at d-fens. For version control purposes a new source code repository has to be created. As we use GIT and host our source code repositories at GitHub the repository can easily be created with our GitHub Repo Creator. Next the repository has to be cloned to create a local copy of the repository on your computer. For details see Cloning a repository. 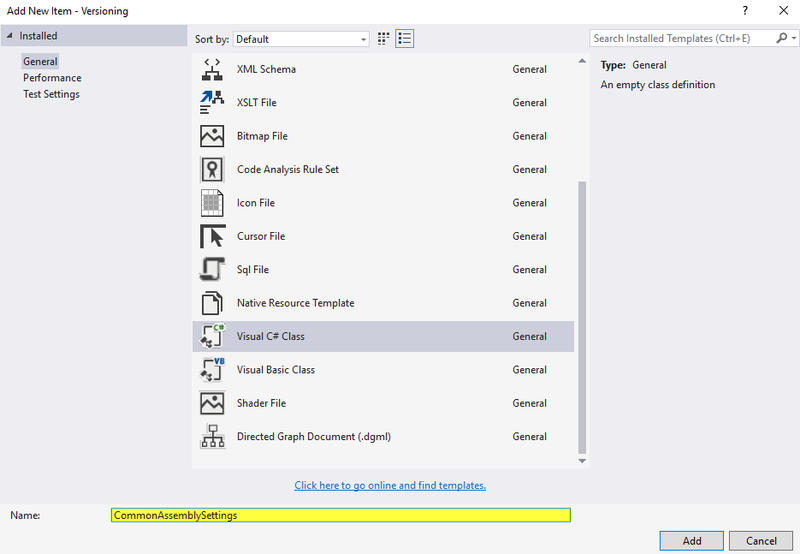 To simplify versioning a class called CommonAssemblySettings will be added to the solution that defines all AssemblyInfo annotations that are common across the solution. The CommonAssemblySettings.cs then gets linked to each project so that common annotations can be maintained in one place. Activate code contracts on all projects in the solution. For logging we use our self developed logging classes from Diagnostics namespace of biz.dfch.CS.Commons. These logging classes are based on System.Diagnostics and the advantage of them is, that they abstract the underlying logging framework. You can use biz.dfch.CS.Commons for example in combination with log4net or any other supported logging framework. 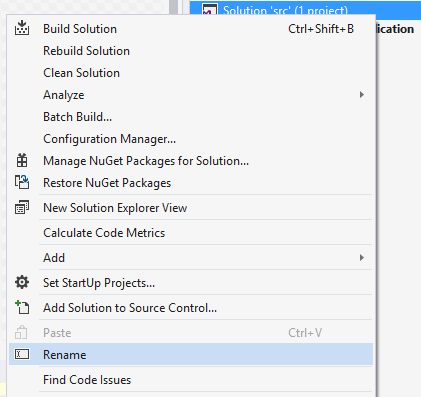 To configure logging the before mentioned libraries have to be installed first by executing the following commands in Package Manager Console of Visual Studio. Now the logging libraries need to be configured. First log4net gets configured by adding a file called log4net.config to the project. The log4net.config for example looks as follows. However you can configure log4net according your needs. Last but not least the TraceSources, Switches and Listeners of System.Diagnostics have to be configured in App.config so that the logging classes from biz.dfch.CS.Commons, which are based on System.Diagnostics, work as expected. Now if you log to the specified TraceSource the log messages get processed by log4net based on log4net.config.